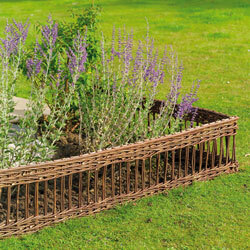 Gardman Natural Woven Willow Hurdle is sold individually in lengths of 1.2 metres and 0.20 metre tall. 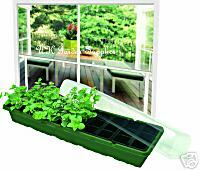 A stylish enhancement as edging to a kitchen vegetable garden, borders, edges, paths or lawns. Natural willow woven for good looks and strength. Size: 1.2m long x 0.20m High. We also sell log roll garden border edging. 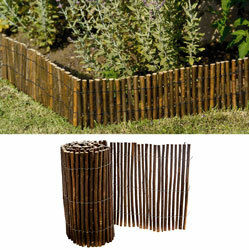 Click on the image of the log roll garden edging.